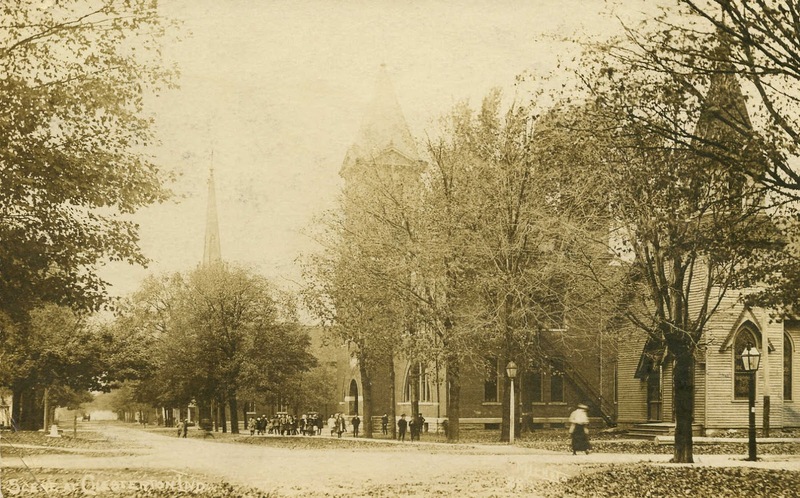 One of the most bizarre crimes associated with Porter County took place during the summer of 1887 and involved the murder of a 19 year old girl at the hands of a Methodist minster from Chesterton. The incident resulted in nationwide newspaper headlines due to the peculiar circumstances, the social status of those involved, and the fact that one of the participants simply vanished and was never heard from again. Collage of nationwide headlines concerning Beck-West crime. This story starts with Susan J. Beck, commonly referred to as Susie. Susie was described as being of medium height and of slim build, with fair skin, dark auburn hair, and "weak eyes." She was the daughter of George Washington Beck and Sarah Jane Keith Beck. " 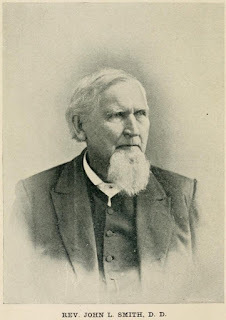 George's father, Jacob Colglazier Beck, was a pioneer of Porter County, Indiana, arriving in 1834 when the county had yet to be separated from LaPorte County. Jacob founded the Methodist congregation at Coffee Creek (now Chesterton) the same year that he settled in the county. The congregation did not have a resident minister, so Jacob would preside as elder over the group between the visits from a traveling preacher. Jacob Beck constructed a log cabin near five other cabins in an area platted out by his brother-in-law, John I. Foster, which was located on land that was owned by another brother-in-law, William Gossett. Beck, Foster, and Gossett had all married Hageman sisters, and all three families resided in neighboring cabins. The platted area was named Waverly; the intersection of present day Waverly Road and Oak Hill Road is where this small pioneer community was located. Numerous improvements were made, but Waverly did not exist long. This particular locale was heavily timbered and the residents needed land that could quickly produce crops. Consequently, the families moved further south to more open areas and erected saw and grist mills to develop local commerce and trade. A devastating forest fire swept through the area soon after their departure and leveled all the structures. Little is known of Susie's father, George W. Beck. George was born January 23, 1830, in Washington County, Virginia, and migrated to Porter County with his parents as a very young boy. He married Sarah Jane Keith and their union produced at least six children: Lillie Beck (1862-1882), Charles H. Beck (1864-1896), Susie Beck (1868-1887), Wilbur Beck (1872-1873), William "Arthur" Beck (1876-1917), and Vance Clark Beck (1882-1915). As a young man, George was employed as a clerk in David Hopkins' store in Calumet (now Chesterton). Various census data shows that he was also occupied as a laborer, farmer, and carpenter. During the Civil War, George enlisted as a corporal in Company E of the 73rd Regiment Indiana Infantry on August 4, 1862, but was transferred to the Invalid Reserve Corps on January 15, 1864. After George's wife passed away in 1897, he remarried at the age of 71 years to a Mrs. Mary Hall. This marriage was short-lived as George and Mary divorced in 1903. The other central character of this story is William Thomas Abbott West. William West served as a minister for a circuit of churches located in Chesterton, Jackson Center, and McCool. 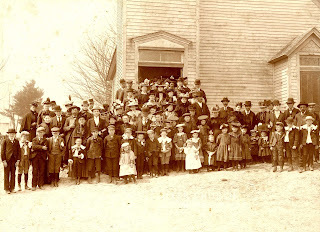 He first preached in Portage Township at the former Presbyterian Church located in the southwest quarter of the northeast quarter of Section 21. 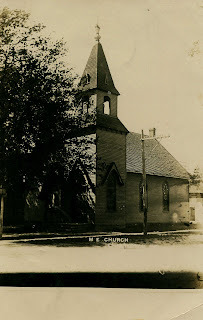 The church was situated adjacent to the Robbins Cemetery on the south side of present day County Road 875 North. 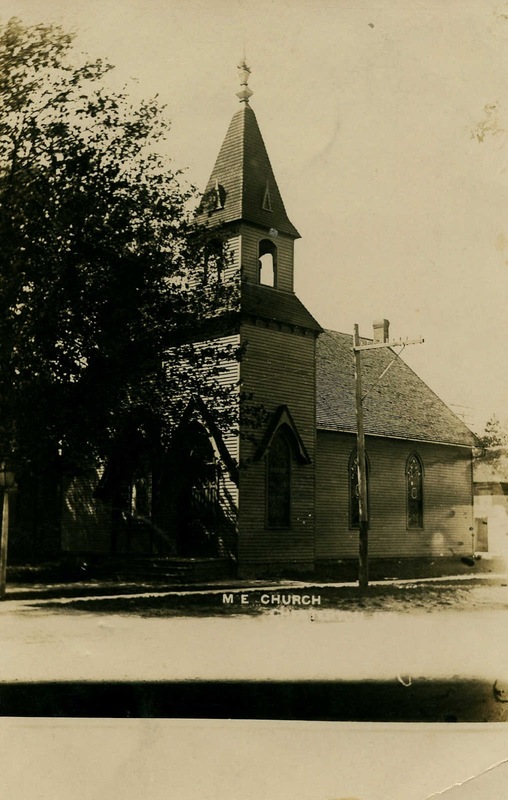 West apparently had objections to preaching in a church that was formerly used by the local Presbyterians, so he relocated his Methodist flock approximately one and one-half miles northwest to an old church located in McCool. The Jackson Center Methodist Episcopal Church was located at the northwest corner of the intersection of present day Tratebas Road and County Road 400 East; a grass and brush field now occupies the former church lot. intersection of present day Tratebas Road and County Road 400 East. Source: Collection of Timothy Cole. West tended his Chesterton congregation at the Methodist Episcopal Church situated at the northwest corner of the intersection of present day Second Street and Indiana Avenue (Block 1, Lot 8 of original town plat). The east half of the Thomas Public Library now occupies the former church site. intersection of present day Second Street and Indiana Avenue. The east half of Thomas Public Library now occupies the church site. Prior to his arrival in Porter County, West was residing in Kankakee, Kankakee County, Illinois, where he was a Methodist minister, and before arriving in Kankakee he lived in South Bend, St. Joseph County, Indiana, where he was employed in wagon making by the Studebaker Brothers Manufacturing Company. West was reportedly "admitted to the Northern Indiana [Methodist] conference through the influence of the Studebaker brothers of South Bend." At the time of the Susie Beck incident William West was 31 years old. Described as a handsome "ladies' man" standing 5 feet 6 inches, square face and chin, dark brown eyes, dark auburn hair parted in the middle, and clean shaven, he wore wine-colored spectacles and reportedly walked with a slight stoop. Given his occupation, William was usually seen wearing clothing similar to those worn by a clergyman. He was well liked and a respected member in the community. Less than a month prior to the Beck-West incident, William West had written a letter to Arthur J. Bowser, the founder and publisher of The Chesterton Tribune. Bowser had strong opinions on many subjects and, like many newspaper publishers at the time, used his newspaper as a vehicle to express his opinions widely among the community. During April and May of 1887, Bowser had been spatting through his newspaper with Peter Ludolph, the publisher of the Valparaiso Daily Vidette, over the Grand Army of the Republic (G.A.R. ), a group representing former Civil War veterans. The G.A.R., as a national organization, generally operated as a fraternal and benevolent organization. As an odd twist, Bowser was the founder of the Valparaiso Daily Vidette, the first daily newspaper in Porter County, which he later sold before moving to Chesterton. Ludolph, alleged to be a Copperhead supporter of the Confederacy by Bowser, publicly supported an opinion piece published in the Chicago Times, which charged that "so-called Grand Army mutual self-glorification societies had a degrading tendency" and denounced G.A.R. members as being "Coffee Coolers, pordioseros [neglected persons of a lower class], dead beats, and bounty-jumpers." In essence, the Chicago Times column stated that the G.A.R. promoted members to be beggars for both money and sympathy and served to "degrade him [the veteran] to the status of a servile dependent or an incapable pauper." Bowser staunchly supported G.A.R. members, especially those that were members of the very active A. B. Wade Post of the G.A.R. in Chesterton (Post No. 208). I have reached such firm convictions in references to the evils arising from intemperance and its associated vices, that it needs no argument to convince me of the necessity of its complete and final overthrow. . . . And I almost blush when I think that I am living in a county where two of the mediums which have to do with developing our moral and national life, should find it possible to wage war upon questions of such vital importance. I regret that your opponent [Peter Ludolph] has called forth such bitter words of denunciation from our G.A.R., an institution where patriotic ardor burns upon consecrated hearts, and by whom a thought of disloyalty is felt to be the most discordant note in their soul. We have watched with some degree of interest the progress of the work which has been going on in our Methodist church under the direction of its pastor Rev. West. When the year commenced the people prophesied great changes in the state of the society during the year, but no one even dreamed that such radical transformation would be possible, but the new pastor and associates have added one more proof that "Where there is a will there is a way." The experience of the past few months have exceeded anything in the history of the "church around the corner." . . The morning services were under the direction of the pastor . . . . Rev. West stepped forward and after enforcing some thoughts of the sermon, presented a statement of the cost of the improvements which amounted to $420 and asked the people in well chosen remarks to pay the same and very soon it was evident that his request would be granted, for at the conclusion of the morning service, about $350 was reported as subscribed. Everybody seemed to agree that while their pastor was a success in the other departments of his work he was no less a success as a "money raiser." Library now occupies the school and Methodist Episcopal Church sites. The young ladies of the M. E. church are taking up a "mum social" for the benefit of the preacher's new baby. Rev. West, the Methodist minister of this place is a great worker, Recently he papered the walls and ceilings of the parsonage himself, and has just finished painting his buggy. The manner in which the work was done would reflect credit on professionals. The Rev. gentleman is an adept at almost anything from inventing new machinery, carving, drawing, designing, shoveling, or delivering a sermon or an oration. There are few ministers in Indiana so industrious, free from false pride, and energetic as the minister who so ably fills the M. E. pulpit in Chesterton. As we will soon learn, Reverend West was indeed quite industrious and energetic, but the focus of some of his energy and industry was obviously both morally and physically misplaced. Ironically, when the Beck-West incident occurred, Arthur J. Bowser would take a leading role in trying to bring justice for Susie Beck. And that $350 collected during morning services to pay for improvements to the Chesterton Methodist Episcopal Church edifice also plays a part in this tale. On June 30, The Tribune published the first story concerning the Beck-West incident, attempting to sort out conflicting facts and present the circumstances of the situation as fairly as possible. The article indicates that on Tuesday, June 21 William West had traveled to Chicago to seek medical treatment for a spinal issue. 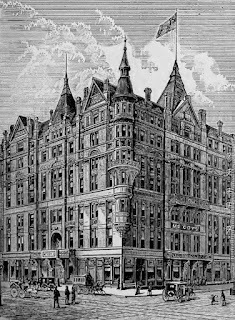 While in Chicago, he stayed at McCoy's Hotel, leaving there on the evening of Saturday, June 25 due to a telegram he had received from his wife requesting that he travel home immediately. the Beck-West incident began to take place. Source: Marquis' Hand-Book of Chicago, 1885. On the evening of June 25, West's return train arrived in Valparaiso, where he stayed overnight and then hired a rig on Sunday to travel home to Chesterton. During his trip to Chesterton, he encountered Mary E. Sifert Letts and Susie Beck traveling together in a buggy to Valparaiso. In conversation, he found that everything was okay in Chesterton, so Susie got out of Lett's buggy and into West's and both buggies traveled together to Valparaiso. McCOY'S HOTEL, CHICAGO, June 26, 1887. MY OWN DEAR WIFE: -- Oh! How I love and yet how loath I am to return home. I received your telegram, calling me home, and if I could have got a train I would have started home at once, but there was none direct. So I took the train to Valparaiso and when I got there in the evening there was no one from Chesterton and I took a livery horse and started to drive, when I met Mrs. Letts and Susie Beck on the road I learned from them that you were all well, so I turned back to save keeping a livery horse over night, and just as I got back I saw a train for Chicago. So I came back here in order to see the doctor and a party with whom I am trying to do some business. I will try and get home to-day sometime, but I hate to return when I think of our once happy home destroyed by scandalous stories of the past few weeks and the destruction of my good name as appears is the case, together with the other difficulties of my life I do not know now what to do with myself and then the condition of my health is such that I am afraid of insanity. I think sometimes that I must be out of my mind. O my God what shall I do, a wife and six children, with a blasted reputation and an unsound mind. O my Father have mercy on us! Did ever a human being have such a burden to bear - what I do. O it breaks my heart to think of the prospects. Tell Mrs. Blackwell I may be 'indiscrete.' O how that evening rings in my ears, shall I ever forget. O my peace, my peace. I have not been guilty of any wrong. Do not blame that poor girl for my mental depression, lay it to its proper cause, overwork and aggravating scandal. I entertain no unkind feeling towards anyone, I love all, God bless them. O my head how it wonders. God bless you my dear wife and children, shall I ever meet you again. How I long for that happy day, "When we meet to part no more." I love to think of the dear boys in heaven, they will never have the trouble of their father. I sometimes think I will go to them soon. I had my fortune told to-day and she said I would leave a widow with a large family. Just think of it. How awful. But our father in heaven loves the orphan and the widow. God bless you my dear. O I would give a good deal to see you now, but to think of going to meet you in that horrid place, I shrink from it. Kiss the dear children and tell them to be good. Give my to all the good friends and my pity to all the bad ones, and for yourself reserve a very large share. I wish I could talk with you. Will you ever leave me dear. O I would rather die. God bless you. I don't know what will become of me. O that poor girl, I know she will get all the blame but she is innocent, poor dear creature. I don't see how she stands it. Do forgive her, for my sake do, and for the children's sake do, and for God's sake do. I thought she looked very bad when I saw her yesterday in Valparaiso. How sorry I feel for her. Well my dear I must be going. Good bye. We shall meet again sometime. My love to all. If I don't come home again I will go and see the other children soon, and wait till you come. I wonder how heaven looks, it must be gorgeous. Be good my dear and we shall soon see it for ourselves. I sometimes hear song, how sweet it sounds. Only think my dear, peace forevermore. No more scandal. No more false friendship. O how happy they must be. When shall I see my saviour dear and be forever His. Listen the angels sing. Come! Come away! But I must not go yet. How soon God only knows. Good bye my dearest. I will see you again soon. Forgive my harsh words which I have spoken to you so many times. Be kind and affectionate till I come to our dear ones. Love Jesus and when we die let us go to heaven. I was just thinking of the apostle Peter. He said "I go a fishing," and so will I go a fishing to-day and if I catch something I'll bring it home. Give my kindest regards to Mr. Young and his dear wife, and all my good and true friends. I want to see them again. Now my dear, good bye. P.S. I am going to hunt a cheap boarder house today. My head has been so bad. I was on the street last night. I wish you would send for me home. -- My love. Apparently, Mrs. West shared William's letter, as the curious nature of the letter's contents aroused considerable suspicion among some of the congregants of Chesterton's Methodist Episcopal Church. It was soon decided to send an individual to Chicago, along with local physician Dr. Hiram Greene. They boarded a Monday evening train to Chicago, but returned late that night unsuccessful in locating West. The next morning they again traveled by train to Chicago where they called upon a Dr. Barker, who was treating West's back ailment. Barker informed the searchers that he had last treated West on Saturday, three days previous, and that he was due to have returned on Monday but did not arrive for his appointment. search for William West in Chicago. Porter and Lake, Indiana, 1882. Dr. Greene then ventured to the McCoy Hotel and learned that West had last been a guest at the establishment the previous Saturday. Hotel staff reported that West briefly returned Monday to write a few letters, but that he did not stay at the hotel. 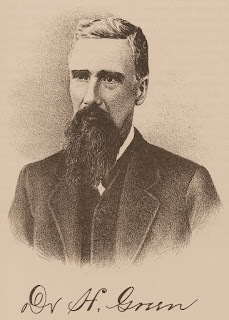 William McCoy, owner of the hotel, informed Dr. Greene that he had made the acquaintance of William West when he escorted West to a private parlor. McCoy also indicated that he had spent several hours in "pleasant conversation" with West before his departure. McCoy and his hotel's staff stated that they had not seen West since his Monday letter writing presence. Neither Dr. Barker, McCoy, nor hotel staff provided any indication that William West appeared despondent. Thus, the last person to see William West was Mrs. Swanson at the Lake Shore & Michigan Southern Railway depot in Chesterton. In his letter to his wife, West refers to scandalous stories being told about him in Chesterton. This was indeed true. West had hired 19 year old Susie Beck as a servant in his family's home in February 1887. Soon after Susie began her employment, rumors began to circulate in the Chesterton community that "the minister and the girl were more familiar with each other than was necessary." In addition, shortly before his disappearance, West had agreed to use his influence as a minister to induce two county school trustees to vote for Hannibal H. Loring for County Superintendent of Schools. As he traveled to Valparaiso to meet the trustees, Mrs. West requested if she could travel along, as did Susie and her sister. The identification of this sister is unknown. West apparently responded that "if Mrs. West did not go they might." Ultimately, Mrs. West did not go and she requested that the girls also not travel to Valparaiso. West, however, did take the two girls with him to the county seat, "which greatly vexed Mrs. West so that she threatened to leave and earn her own living." On the day of West's departure he went to George Beck's house and talked on various subjects, and in a joking way, wanted to borrow $40. He finally asked for $20. He then told Mr. Beck that he was sorry for the talk that was going the rounds concerning himself and Susie, and said that he didn't see how she could take the abuse given her by Mrs. West. He went on in this strain for some time, and finally took out a note-book and did some writing. Mr. Beck says that he supposed it was some thing that the minister intended giving him, but now thinks it was a note to Susie. Finally Beck told the minister that if he intended taking the 9 o'clock train he had better get going. West then went to Porter to take the Central [Michigan Central Railroad] but came back to Beck's house, saying he had missed the train. He then asked for something to eat, which was given him. During this meal is the time the note was passed from West to Susie. At noon he took the local freight for Chicago. On Friday, June 24, Susie reportedly made an attempt to visit her brother Charley, who was living some distance south of Valparaiso. She was unable to secure a ride to Valparaiso on Friday, so she tried again the following day, but again could not find someone to take her to Valparaiso. On Sunday, June 26, Mary E. Letts provided Susie a ride, as previously mentioned. Susie's parents informed local residents that she had departed for Valparaiso with only 50 cents, three dresses, and some changes of underclothing. MY DEAR MOTHER. -- I hope you will forgive me for deceiving you. I am in Chicago. I could not stay in Chesterton any longer, as I had so much trouble and made you so much. I thought I must go away. I saw brother West in Valpo. He looked awful. He was on the same train I was. I didn't want to speak to him for fear he would want me to go back home. I think he is most crazy. I am so sorry. I wish I was dead. I don't want you to feel bad about me. I will write to you again some time. I am all right. From SUS. Given the totality of the events as currently known, residents of Chesterton were shocked and concluded that William West and Susie Beck had eloped. Furthermore, they believed that West's letter to his wife was a ruse to make people believe that he truly had gone insane. Congregants at the Chesterton, Jackson Center, and McCool Methodist Episcopal churches were furious. Just prior to disappearing, West had collected $20 from the McCool church members, $10 from the Jackson Center patrons, and more than $300 from the Chesterton flock. It was also soon learned that the financial status of the church was in complete disarray. No financial books could be found and William West was personally in debt to several Chesterton merchants; these included Par A. Johnson $75, S. A. Swanson $32, Thomas Blackwell $30, and John G. Morgan $20. A massive search for William West and Susie Beck ensued after newspapers across the country published the circumstances of their disappearance. Locations that some thought that they may have traveled included New York City, Chicago, and Toronto. During the first week of July, two of William West's brothers arrived in Chesterton from Canada. They had originally traveled to Chesterton under the belief that William had become insane, but upon further investigation they learned the same facts that had been published a week earlier in the local paper; namely, it appeared that William and Susie Beck had eloped. It was learned that Emma L. Sanders Taylor had encountered West at the Chicago railroad depot when she was returning home. She had intended to purchase some spoons while in Chicago, but had forgotten to do so. She requested that West purchase the spoons for her and he agreed he would. She gave West the funds to purchase the spoons with the understanding that he would deliver them to her upon his return to Chesterton. When Taylor learned of the circumstances surrounding the disappearance of West and Beck, she thought that West had simply taken her money, just as he had done with the church funds. However, on Friday, July 1, Taylor received the spoons in the mail and the address was penned in West's handwriting. Since West had disappeared four days prior to the delivery of the package, it was assumed that he was likely to be in the Chicago area. Attendance at Chesterton's Methodist Episcopal Church on Sunday, July 3, was reported to be very light though it was the quarterly meeting when attendance was typically very good. At the quarterly meetings, the congregation was expected to make somewhat larger financial contributions to the church to support the salaries of the minister, church elders, and the Bishop. The presiding elder, Reverend John L. Smith, informed the flock that he was owed $84 and that the Bishop was owed $8. The July 7 issue of The Tribune states that "A very small amount was raised." The congregation was informed by Rev. Smith that William West was being "debarred from ever presenting again in the M. E. pulpit...."
Methodist Episcopal Church after West's disappearance. and People of the West, 1892. Several other creditors to William West immediately placed liens on his property. The total amount West owed to local businesses exceeded $260. Creditors decided that they would accept 50 cents on the dollar, and soon West's buggy was sold for $150; $131.44 was divided among the creditors, while $15.66 was turned over the Mrs. West. West's cow could not be sold since it was purchased through a loan that had yet to be fully paid. There is one thing certain; religion or no religion; if West ever shows his hypocritical face in Chesterton again, he will leave it with one of the neatest coats of tar and feathers that such a scoundrel ever got. We know we have been a lot of geese, but by the eternal! we have got our feathers yet. Husband sick. Scandals false. Come on first train. 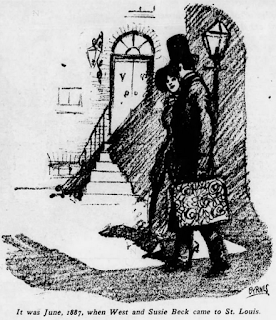 Since no address was provided in the telegram, Mrs. West assumed that she would be met by someone at the Chicago depot. She therefore boarded a train at 6:00 am on July 21 hoping to find William in Chicago. It was during the third week of July that William West's story began to rapidly unravel into true horror as additional details began to surface. When Mrs. West traveled to Chicago, she found William at the depot waiting for her arrival. He seemed perfectly healthy and sane, though he had shaved his beard and his clothing was somewhat soiled. She returned to Chesterton with her husband that evening. On reaching the church parsonage, William bathed and changed into a clean outfit. He then took in visitors that had gathered at the parsonage upon learning of his return. He did not share much information with the curious visitors and soon went to bed. The following morning (Thursday, July 22), West had Arthur J. Bowser, the publisher of The Tribune, summoned to his bedside. He informed Bowser that the scandal involving Susie Beck was false and requested that the newspaper publish an article correcting misinformation that made him an innocent victim of a mock trial. During the visit, Bowser asked West what he knew of Susie Beck. West replied that it was true that he gave Susie a ride to Valparaiso after meeting Mary Letts on the road. He then stated he saw Susie again on the Grand Trunk train headed to Chicago, stating that she was "closely veiled, and was sitting in a seat with a male companion." He then met her again at McCoy's Hotel in Chicago where they briefly talked to one another. After meeting Susie at the hotel, presumably on June 25, he had not seen or heard from her. ST. LOUIS, MO. July 22 -- Special telegram. Thomas Abbott's name is on the mysterious disappearance list, but the romantic story that will be found below in condensed shape seems to clear away the mystery. Abbott is or was, about 30 years old. His family lives in New York and are wealthy. He was educated for the Methodist ministry and had a church in Canada. He married a young girl whose home near Toronto, and by his marriage he displeased his family, and a result he was cast off. He came to St. Louis with his bride about five weeks ago and got a job as a silver plater having learned the trade before he became a preacher. They struggled along in poverty and distress until about ten days ago, when the woman died, as the doctor said, from cholera morbus. Next day the husband found a letter written by her before she died, in which she declared her intention of taking her life by poison, and begging him to follow her. The letter is a lengthy and pathetic one, setting forth all their trouble, and accusing herself of being the cause of it all. The second day after her death he disappeared, and the next day after his employer got a letter in which Abbott declared his intention of following his wife. With his letter he enclosed his wife's last epistle. The employer thought he would keep the matter quiet in the hope that Abbott had not taken his own life, but to-day he changed his mind and the matter was given to the police. There seems to be not the least doubt that the woman committed suicide, and the indications certainly are that her husband followed her. If the name West should be substituted for Abbott, you would have my suspicion. Coincidences? The morning following West's visit with Mr. Bowser he disappeared once again from Chesterton. Perhaps Bowser had shared too much information with West. William Thomas Abbott West was in fact the Thomas Abbott referred to in the St. Louis telegram. The bride mentioned in the telegram was Susie Beck. And Susie Beck was dead. A timeline can be pieced together using facts published in dozens of newspaper accounts of the incident. On July 1, William West and Susie Beck arrived at St. Louis; they had probably spent just under a week in Chicago prior to their Missouri arrival. Here, they took up residence at 713 North Jefferson Avenue, a boarding house, under the aliases of Thomas and Annie Abbott. When they arrived, they asked residents for the location of the nearest Methodist church. They were directed to the Glasgow Avenue Church, where they communicated with some members of the congregation in order to find work for William, as they had arrived with limited funds. August R. Huskamp, upon learning that Thomas Abbott was searching for employment, sent a note to Freeman A. Durgin. Durgin, however, had no employment opportunities for Abbott and instead directed Abbott to the firm of Degge & Musick. Degge & Musick was an electroplating firm located at 113 South Eighth Street in St. Louis. Thomas Abbott informed Middleton D. Degge that he was a theological student and that he offended his rich parents in New York because he married for love and not "in accord with the wishes of his purse-proud father." He also told Degge that his wife, Annie, was from a poor family living in Canada and that his family turned away from him when he married her about five months previous in Toronto. He explained to Degge that all he wanted was a chance to earn a livelihood, informing him that he had a working knowledge of chemistry in the electroplating industry and that he wanted to earn enough money to be able to resume his theological studies. Given West's story, Degge was willing to employ him and paid him $2 a day. On the morning of July 17, Annie Abbott was taken ill. Initially, she was suffering from diarrhea. A physician, Dr. Edward Roby Albin, was called to tend to her. At 1:00 pm, the proprietress of the boarding house, Mrs. M. Kuhlen, could hear Annie groaning in the Abbott's room. Kuhlen found Thomas Abbott asleep across the bed and Annie appeared to be dying. Dr. Albin arrived again at the boarding house, but Susie Beck, under the alias of Annie Abbott, died at 2:00 am on Monday, July 18. The cause of death was listed as cholera morbus (today referred to as gastroenteritis) and heart disease. Middleton D. Degge advanced Thomas Abbott funds so that he could have Annie's remains buried. Local undertakers Harrigan & Sheahan quickly obtained Annie's remains and she was buried in the public portion of Wesleyan Cemetery in St. Louis in an unmarked grave the same day that she had died. Note that the Wesleyan Cemetery no longer exists and remains were disinterred and reburied in other local cemeteries. It is unknown where Susie's remains were reburied. I am going to do something which I know will make you sad; but, my dear, do not feel bad when you find me dead. I have caused you so much trouble that I cannot live thinking of how you suffer. Tell mother I die happy and she must not fret. St. Louis, July 19, 1887. The enclosed letter referred to by Thomas Abbott was Annie's suicide note. Degge immediately contacted the St. Louis police in an effort to have Abbott apprehended before he could commit harm to himself. An extensive search was made, but Abbott had simply vanished. St. Louis newspapers, upon learning of the letters received by Mr. Degge, published the story concerning Annie and Thomas as a "sob feature." Where did Thomas Abbott vanish to? Chesterton, where he reappeared as William West on July 21. As mentioned previously, he then disappeared from Chesterton after being confronted by Arthur J. Bowser of news concerning a Thomas Abbott in St. Louis. Pieces of the puzzle were quickly falling into place. A woman living at the boarding house where the Abbotts were residing, Lizzie M. Dolan, stated that she interacted with Annie and that Annie did not seem in any way despondent or suicidal. Upon closer examination, it was found that the handwriting of the letters written by Thomas Abbott and Annie Abbott were very similar, perhaps written by the same individual. Middleton D. Degge examined Thomas Abbott's work room at Degge & Musick. In a drawer in the room he found a small container of arsenic that had been opened. Arsenic was not a chemical that was used in the silver electroplating industry and Degge's company had not purchased it. The arsenic discovery aroused Degge's suspicion that perhaps Annie Abbott did not commit suicide. 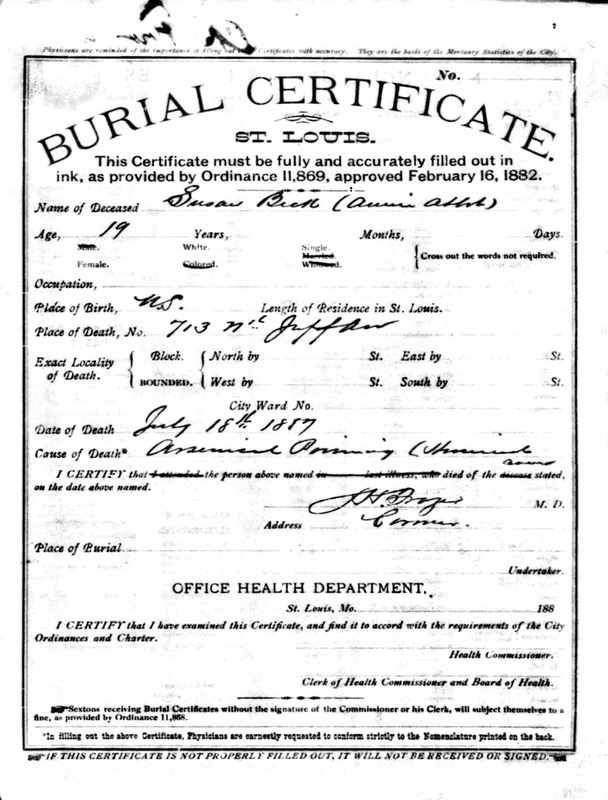 Degge requested that the St. Louis police have Annie's body disinterred from the cemetery and examined via autopsy. 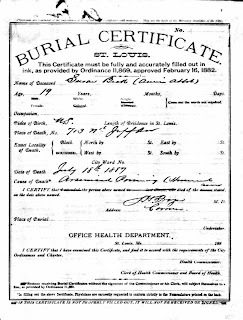 Initially, the St. Louis police were wary of having Annie's body exhumed since it appeared that she had died of natural causes. Given Degge's insistence, as well as evidence that he presented, Annie's body was taken from the grave and an autopsy was conducted. Dr. Walter L. Blickhahn performed the examination of Annie Abbott's remains. He found evidence in some of Annie's organs of arsenic poisoning. 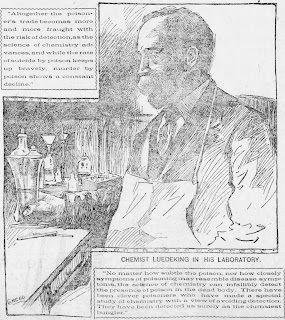 Professor Carl Luedeking made a chemical analysis of some of Annie's tissue and concluded that there was enough arsenic in her body to kill at least ten individuals. Source: St. Louis Post-Dispatch, March 13, 1898. The postmortem examination also led to the discovery of a dead fetus that had been expelled by the gasses generated from the decomposition of Susie's body. The fetus was approximately three months old and there was no evidence that Susie's health was affected by an attempted abortion. The William West-Susie Beck story and the Thomas Abbott-Annie Abbott story were soon connected as one given their similarities. Meanwhile, the residents of Chesterton had designated John C. Coulter to travel to St. Louis to positively identify the remains of Annie Abbott. Coulter, accompanied by Chesterton resident John G. Morgan, arrived in St. Louis and, with no doubt in his mind, identified the corpse of Annie Abbott as being that of Susie Beck. Coulter then went to the boarding house and met with the proprietress. While there, he was able to identify two dresses as belonging to Susie. August R. Huskamp, a man who befriended the William and Susie upon their arrival in St. Louis, described as a "Good Samaritan"
The verdict rendered by the jury at the inquest was that Susie Beck, known by the alias Annie Abbott, was a victim of homicide. She had been poisoned with arsenic, though she was probably also suffering from cholera morbus. A new burial certificate was filed listing both the Beck and Abbott surnames. Susie Beck's remains were reinterred in Wesleyan Cemetery, again unmarked. that her cause of death was due to arsenic poisoning. Source: Office Health Department, St. Louis, Missouri. ST. LOUIS, July 31. -- Arrest for murder William Thomas Abbott West, late Methodist minister of Chesterton, Ind. He is between 30 and 35 years old; 5 feet 6 inches high; about 150 pounds weight; fair complexion; dark brown eyes; dark auburn hair, parted in middle; full square face and chin; clean shaven - may allow his beard to grow; stooped slightly when walking. He is a native of London, Canada, where he has relatives living. He seduced and poisoned Susie or Annie Beck in this city July 18. He is well-known in South Bend, Ind. He may look for work in electro-plating; is handy at any kind of work; usually wore a black Prince Albert coat, but will likely discard that garment for some other kind. He fled from Chesterton on the 26th inst. for parts unknown. Wire me when arrested, and I will send an officer with requisition paper for him. On August 4, Peter West, a brother of William West, arrived in Chesterton to assist his sister-in-law and her children. Residents of Chesterton quickly descended at the West home and asked if Peter had any contact with William. Astonishingly, Peter related that he was visited by William just after midnight on Thursday, July 28 in his home at London, Ontario, Canada. Peter was in bed at the time of William's arrival at his home. He got out of bed, dressed, and visited with William. William informed his brother that he had been expelled from the Methodist Episcopal Church due to the Susie Beck scandal. Peter said he was convinced that William had seduced Susie, but did not think anything further. He also said that he asked William about his whereabouts on June 26, and that William replied "Don't ask me. I don't want to talk of that." Hence, Peter did not pursue this line of questioning. William then went to bed at Peter's home and remained there until the following afternoon. William's mother also visited with him at Peter's home and asked that he remain in town. William responded that he could not since he had a family to care for and must do something. William then vanished, taking a train out of town to an unknown location. ST. LOUIS, August 15, 1887. State of Missouri vs. Wm. Thos. Abbott West, alias Thomas Abbott, charged with murder in the first degree. That William Thomas Abbott West, alias Thomas Abbott, as this affiant believes, in St. Louis city, on the 17th day of July, 1887, force and arms, in and upon one Susan Beck, alias Mrs. Annie Abbott, in the peace of the state, then and there being feloniously, willfully, deliberately, premeditatedly and of his malice afterthought, did make an assault to kill and mingling into the food and medicine which said Susan Beck, alias Annie Abbott, was about to drink, a large quantity of arsenic, the said Wm. Thos. Abbott West, alias Thos. Abbott, then and there well knowing that said Susan Beck, alias Mrs. Annie Abbott, was about to take and drink the said medicine and food, and the said Wm. Thos. Abbott West, then and there well knowing the said arsenic, so by him put, mixed and mingled into the food and medicine, to be deadly poison, and that the said Susan Beck, alias Mrs. Annie Abbott, did take, drink and swallow said medicine and food so prepared, charged and mixed with arsenic by the said Wm. Thos. Abbott West, alias Thos. Abbott, of which arsenic and deadly poison the Susan Beck, alias Mrs. Annie Abbott, died; and so that the said Wm. Thos. Abbott West, alias Thos. Abbott, the said Susan Beck, alias Mrs. Annie Abbott, then and there, in the manner and form aforesaid, feloniously, willfully, deliberately, premeditatedly and of his malice afterthought, did kill and murder, contrary to the form of the statute in such case made and provided, and against the peace and dignity of the state. Assistant Prosecuting Attorney of the St. Louis Court of Criminal Correction. STATE OF MISSOURI, EXECUTIVE DEPARTMENT. WHEREAS William, Thomas, Abbot, West, is charged with the seduction and murder of Susie or Annie Beck in the city of St. Louis on July 18th 1887 and has fled from justice and cannot be arrested by ordinary process of law, NOW, THEREFORE, I, Albert P. Morehouse, Lieutenant and acting governor of the State of Missouri, by virtue of authority in me vested, and for good and sufficient reasons appearing, do hereby offer a reward of Three hundred dollars for the arrest and delivery of said William, Thomas, Abbott, West, to the sheriff of the city of St. Louis, at St. Louis, Missouri, at any time within one year from the date of these presents. In Testimony Whereof I hereto set my hand and cause to be affixed the great seal of the State of Missouri. Done at the city of Jefferson this 26th day of August AD 1887. Despite the financial incentive, it appears that William Thomas Abbott West had escaped justice. For nearly ten years very little mention of the Beck-West incident was made in the local newspapers of Chesterton and St. Louis. The excitement and anger over the seduction and death of Susie Beck abated. The constable at Osgood, Ripley County, Indiana, believed that a man named Abbott West could possibly be William West in July 1891, but that lead was a dead end when the Osgood man was determined not to be the Chesterton West. On June 15, 1897, however, Arthur J. Bowser, publisher of the local newspaper, received at letter from William Duke, the Marshal of Sequin, Guadalupe County, Texas, indicating that a man going by the names of Williams and West was residing in the town and had a physical similarity to William West. He also indicated that the man's sister said that his real surname was West. I never saw a case bungled as that was. I was in the Appraiser's Office at the time, but I took a great interest in the matter and advised Huebler [St. Louis Chief of Police at time of Beck's murder] to send to the man's home in Canada. He did not do so, but later learned that West showed up in London [Ontario], and passed a week there. It was decided that Chesterton resident John T. Taylor and Arthur J. Bowser would travel to St. Louis to rendezvous with authorities from that city and then travel to Sequin, Texas, to determine if the man there was indeed William West. Taylor was chosen since he had a close relationship with West when he was residing in Chesterton. After arriving in Texas, Taylor and Bowser stated that the man being held was not William Thomas Abbott West. Despite considerable circumstantial evidence and a close physical likeness to West, the man was confirmed to be J. G. Williams. Infuriated, Williams filed criminal actions against Arthur J. Bowser. Requisition papers were delivered to Texas Governor James Stephen Hogg, but the case was never fully pursued and it is believed that J. G. Williams dropped his action. The misidentification of the man at Sequin, Texas, may have led to a more cautious approach in the continuing search for William Thomas Abbott West. Texas parties are again on the trail of Rev. West. They are in communication with Justice Pratt, and have sent photographs here of the man Williams, formerly of Sequin, now in Houston, Texas. Many things point to the possibility that Williams is the real West, notably his queer actions, but again there are many things that indicate that Williams is a younger brother. The mystery is one difficult of solution, and one that it seems will not lay quiet. At this late date, even if the real West was apprehended and placed on trial it is exceedingly doubtful if he could be convicted. Most of the witnesses are dead, and great difficulty would be experienced in proving identity, and the actual commission of the crime of which he is guilty, because eleven years makes great changes, and those familiar with all the details are nearly all gone. Susie West murder thirty-two years after it took place. Source: St. Louis Post-Dispatch Sunday Magazine, April 6, 1919. Thus ends the tale concerning the search for Reverend West. He was never apprehended and, therefore, did not suffer the consequences for his crime. Given the incredible volume of genealogical information available today, however, some clues exist as to where William may have resided after the Beck-West incident. Genealogy data indicates that William Thomas Abbott West was born on October 7, 1855, in London, Middlesex County, Ontario, Canada, the son of William West (b. 1822, d. 1890) and Christina Beverley West (b. 1827, d. 1913). William and Christina were first cousins and they immigrated to Canada from Yorkshire, England. Besides William, William and Christina had at least four sons, George West (b. May 20, 1849, d. May 16, 1935), Edward West (b. September 20, 1853, d. November 23, 1931), Peter West (b. 1866, d. 1939), and Alfred West (b. 1864, d. 1939), as well as a daughter, Hanna Mary West Briggs Maynes (b. May 26, 1858, d. February 28, 1949). William was residing with his parents in London Township, Middlesex County, Ontario, Canada, as late as 1881, where he was a farmer. He married Jane Loft (b. July 23, 1856), a daughter of Fishwick and Elizabeth Ann Loft, on June 26, 1884, in London Township; the marriage was performed by John Wood, a known licensed Methodist minister in the area. The marriage record for William and Jane indicates that William's profession was still in farming. 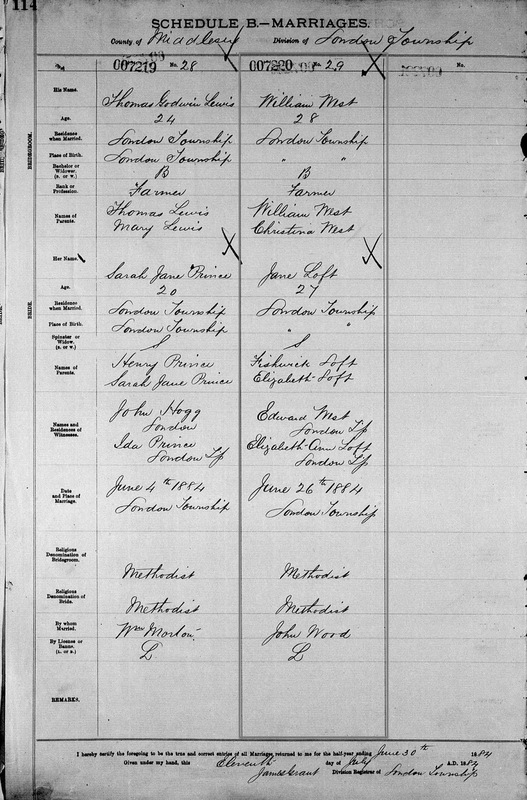 Thus, William entered training to be a Methodist minister at some point in time after June 1884.
indicating a date of marriage of June 26, 1884. Source: Archives of Ontario, Canada, series MS932, Reel 47. And what happened to William's wife and children? 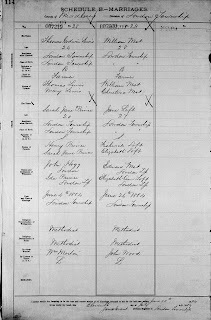 Canadian census records enumerate William and Jane in 1891, 1901, and 1911 where they are living in Middlesex East, London Township, Ontario. All three census records indicate that William was working as either a farmer or a farm laborer. We also know from newspaper accounts of the Beck-West incident that two of William's children returned with his brother Peter to Canada, though their names remain unknown. One genealogical source mentions that William West died in 1941 at the age of 86 and that his wife Jane passed away on August 19, 1942; this particular record, however, does not provide locations of death for William or Jane nor does it provide a source for the dates. Another genealogy record that includes Jane West does not provide a date of death, but it does indicate that she was buried in St. John's Cemetery in Arva, London Township, Middlesex County, Ontario, Canada. Perhaps William was also interred in St. John's Cemetery? If he is, then there is currently no cemetery enumeration that lists him there. Interestingly, several books focused on the history of Methodism in Indiana have been written since the Beck-West incident. Not a single mention of William West is made in these books. It appears as if the Methodists forever erased West's existence and contributions to the church after he was "debarred" from the pulpit in early July 1887, despite the considerable impact he had on the Methodist Episcopal congregations at Chesterton, Jackson Center, and McCool Methodist Episcopal. When Susie's parents passed away, neither of their obituaries included a mention of the Beck-West incident. It appears that the crime had simply faded away from the community's memory. Smith, John L. 1892. Indiana Methodism, A Series of Sketches and Incidents, Grave and Humorous Concerning Preachers and People of the West with an Appendix Containing Personal Recollections, Public Addresses and Other Miscellany. Valparaiso, Indiana: John L. Smith. 482 p.
St. Louis City Office of the Coroner. 1887. St. Louis City Office of the Coroner Inquests, 1845-1900. Case No. 358, Susan Beck. Missouri State Archives Box 52, Folder 158, Reel 31286. Jefferson City, Missouri: Missouri State Archives. 121 p.
The Tribune, Chesterton, Porter County, Indiana; May 19, 1887; Volume 4, Number 7, Page 1, Columns 4-5. Column titled "A Clergyman's Opinion." The Tribune, Chesterton, Porter County, Indiana; May 26, 1887; Volume 4, Number 8, Page 1, Column 2. Untitled column. The Tribune, Chesterton, Porter County, Indiana; June 16, 1887; Volume 4, Number 11, Page 4, Column 2. Column titled "At Home and Abroad." The Tribune, Chesterton, Porter County, Indiana; June 30, 1887; Volume 4, Number 13, Page 1, Columns 5-6. Column titled "This Wicked World. Rev. W,. West of the Chesterton M. E. Church, Disappears Under a Cloud. Elopes with His Hired Girl and Deserts a Wife and Six Children." The Daily Inter Ocean, Chicago, Cook County, Illinois; July 2, 1887; Volume 16, Number 100, Page 1, Column 7. Column titled "A Wicked Preacher." The Tribune, Chesterton, Porter County, Indiana; July 7, 1887; Volume 4, Number 14, Page 1, Columns 6-7. Column titled "Trials of West's Family. Two Canadian Brothers Appear on the Scene, and Begin Investigation." The Tribune, Chesterton, Porter County, Indiana; July 14, 1887; Volume 4, Number 15, Page 1, Column 1. Untitled column. The Tribune, Chesterton, Porter County, Indiana; July 21, 1887; Volume 4, Number 16, Page 1, Column 4. Column titled "Found Guilty! Preacher West is Tried, Convicted, and Condemned by the Church." The Tribune, Chesterton, Porter County, Indiana; July 21, 1887; Volume 4, Number 16, Page 1, Column 6. Column titled "The Very Latest. Preacher West has Turned Up in Chicago, and Sends for His Wife." The Cincinnati Enquirer, Cincinnati, Hamilton County, Ohio; July 23, 1887; Volume 45, Number 204, Page 1, Column 7. Column titled "Rev. Thomas Abbott's Dead Wife Beckons to Him to Follow Her to Heaven, and the Prospects are that He has Done So." The Tribune, Chesterton, Porter County, Indiana; July 28, 1887; Volume 4, Number 17, Page 1, Columns 2-4. Column titled "West Returned. The Runaway Minister Comes Home and Claims Innocence." The Tribune, Chesterton, Porter County, Indiana; July 28, 1887; Volume 4, Number 17, Page 1, Column 4. Column titled "Abbott and West Are One." The Evening Post, Cincinnati, Hamilton County, Ohio; July 29, 1887; Number 49,742, Page 1, Column 3. Column titled "Terrible Sequel. To a Told Story in The Post on July 1." Fort Worth Daily Gazette, Fort Worth, Tarrant County, Texas; July 29, 1887; Volume 12, Number 361, Page 1, Column 4. Column titled "A Sensational Case. A Methodist Minister Deserts His Wife and Six Children and Elopes with a Nurse Girl." The New York Herald, New York, New York County, New York; July 29, 1887; Number 18,603, Page 5, Column 5. Column titled "Shrouded in Mystery. An Alleged Suicide That May Prove to be a Murder." St. Louis Post-Dispatch, St. Louis, St. Louis County, Missouri; July 29, 1887; Volume 38, Number 23, age 1, Columns 2-4. Column titled "The Abbott Case. The Mystery of Jefferson Avenue Cleared Up. 'Mrs. Abbott' Positively Identified as Susie Beck of Chesterton, Ind." The Daily Inter Ocean, Chicago, Cook County, Illinois; July 30, 1887; Volume 16, Number 128, Page 2, Column 3. Column titled "The Preacher's Victim. Discovery that Malpractice Aided in Putting an End to Susie Beck's Existence." The New York Herald, New York, New York County, New York; July 30, 1887; Number 18,604, Page 3, Column 2. Column titled "Clergyman West's Victim. The Dead Girl Fully Identified As Missing Susie Beck." The Daily Inter Ocean, Chicago, Cook County, Illinois; August 1, 1887; Volume 16, Number 130, Page 2, Column 3. Column titled "Susie Beck Was Murdered. Considerable Arsenic Found in Her Body, Telling Plainly of the Crime." The Philadelphia Inquirer, Philadelphia, Philadelphia County, Pennsylvania; August 2, 1887; Volume 117, Number , Page 1, Column 5. Column titled "The Susie Beck Murder. Great Excitement in Chesterton -- Threats of Lynching West." St. Louis Post-Dispatch, St. Louis, St. Louis County, Missouri; August 3, 1887; Volume 38, Number 27, Page 1, Column 6 and Page 2, Column 1. Column titled "Susie Beck's Murder. The Coroner's Investigation of the Case Begun this Afternoon." The Dallas Morning News, Dallas, Dallas County, Texas; August 4, 1887; Volume 49, Number 307, Page 2, Column 4. Column titled "Rev. William Thomas Abbott West." The Tribune, Chesterton, Porter County, Indiana; August 4, 1887; Volume 4, Number 18, Page 1, Columns 1-5. Column titled "An Awful Crime. Rev. Wm. West, Pastor of the Chesterton Methodist Church, Seduces Susie Beck, Daughter of One of the Deacons." The Tribune, Chesterton, Porter County, Indiana; August 4, 1887; Volume 4, Number 18, Page 1, Columns 5-6. Column titled "West Found. West Shows Up in London, Canada, at His Father's House." The Daily Inter Ocean, Chicago, Cook County, Illinois; August 5, 1887; Volume 16, Number 134, Page 2, Column 7. Column titled "The Rev. West Fled. Alleged Poisoner of Susie Beck Said to be on His Way to England." The Tribune, Chesterton, Porter County, Indiana; August 11, 1887; Volume 4, Number 19, Page 1, Columns 1-4. Column titled "The Last of Susie Beck. The Coroner's Jury Officially Declares Wm. West Her Murderer." Phillipsburg Herald, Phillipsburg, Phillips County, Kansas; August 13, 1887; Volume 9, Number 41, Page 1, Column 4. Column titled "Rev. Abbott West in Canada." The Tribune, Chesterton, Porter County, Indiana; August 25, 1887; Volume 4, Number 20, Page 1, Column 1. Column titled "West's Warrant. The Document the Poisoner Must Face, Sooner or Later." St. Louis Post-Dispatch, St. Louis, St. Louis County, Missouri; June 21, 1897; Volume 48, Page 316, Page 8, Column 1. Column titled "Susie Beck's Murderer. Texas Marshal Thinks He Has Rev. West." The Bremen Enquirer, Bremen, Marshall County, Indiana; June 25, 1897; Volume 12, Number 26, Page 1, Column 3. Column titled "Was Finally Caught. Captured After Many Years. Rev. William A. West of Chesterton in Custody for a Serious Crime He Committed Ten Years Ago." The Westchester Tribune, Chesterton, Porter County, Indiana; June 26, 1897; Volume 14, Number 11, Page 1, Columns 2-3. Column titled "On West's Trail. City Marshal Duke, of Sequin Writes the Tribune." Davenport Daily Leader, Davenport, Scott County, Iowa; June 30, 1897; Volume 7, Page 1, Column 3-4. Column titled "Is Sure it is West." The Westchester Tribune, Chesterton, Porter County, Indiana; July 3, 1897; Volume 14, Number 12, Page 1, Columns 1-6 and Page 4, Columns 3-4. Column titled "West, The Beck Murderer." The Westchester Tribune, Chesterton, Porter County, Indiana; July 3, 1897; Volume 14, Number 12, Page 4, Columns 5-6. Column titled "Murder of Susie Beck." The Westchester Tribune, Chesterton, Porter County, Indiana; July 10, 1897; Volume 14, Number 13, Page 1, Columns 1-4. Column titled "Not the Man Wanted. A. J. Bowser Fails to Identify the Man in Jail at Sequin, Texas." The Cincinnati Enquirer, Cincinnati, Hamilton County, Ohio; August 2, 1897; Volume 54, Number 214, Page 1, Column 6. Column titled "Williams Wants Revenge." The St. Louis Post-Dispatch, St. Louis, St. Louis County, Missouri; March 13, 1898; Volume 49, Page 215, Page 20, Column 1-5. 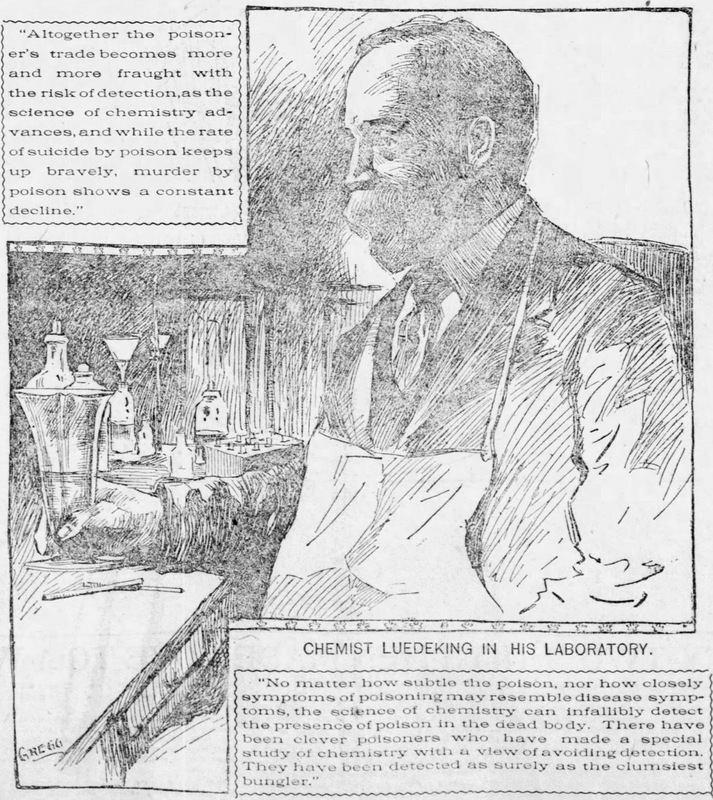 Column titled "St. Louis Chemist Expert in the Detection of Poisons Describes the Mysterious Death-Dealers." The Chesterton Tribune, Chesterton, Porter County, Indiana; June 11, 1898; Volume 15, Number 9, Page 5, Column 3. Column titled "Chesterton Chips." The St. Louis Republic, St. Louis, St. Louis County, Missouri; June 14, 1898; Volume 90, Page 10, Column 6. Column titled "Have the Police Located Thomas West? Alleged Murderer of Susie Beck Said to Have Been Found at Houston." St. Louis Post-Dispatch Sunday Magazine, St. Louis, St. Louis County, Missouri; April 6, 1919; Page 4. Story titled "Unatoned After Thirty-two Years -- A Famous St. Louis Murder." Cleveland Plain Dealer, Cleveland, Cuyahoga County, Ohio; April 24, 1919; Volume 78, Number 114, Page 16, Column 8. Column titled Murder Recalled by Man's Death. Pastor-Slayer of Young Girl, 32 Years Ago, Never Apprehended." The Arkansas Gazette, Little Rock, Pulaski County, Arkansas; May 4, 1919; Volume 99, Number 157, Part II, Page 15, Columns 1-5. Column titled "Famous Murder Unatoned After Thirty-two Years." The Vidette-Messenger, Valparaiso, Porter County, Indiana; April 23, 1935; Volume 8, Page 1, Columns 4-5 and Page 5, Columns 1-4. Column titled "My Memories of the Past." The Vidette-Messenger, Valparaiso, Porter County, Indiana; May 21, 1962; Volume 35, Number 271, Page 1, Columns 3-4 and Page 11, Columns 1-6. Column titled "'Modus Operandi' is Written About Old Case." Creepy because my maiden name was Susan Beck! Well done, Mr. Shook. An excellent account of a strange case, and a fascinating slice of Americana. It makes me want to dig up J. C. Williams' bones and submit them to a DNA test! Then again, I wonder if he left any offspring in Texas. Thanks for sharing. "There were Methodists among early settlers in what became Porter County including Jacob Beck who was a class leader for the Methodists. When Joseph Bailly, the French-Canadian fur trader who settled here in 1822, died in 1835, Beck was called upon to officiate his funeral because no Catholic Priest was available."